Since 2009, a culinary debate regarding putting pineapple on pizza has haunted the internet and continues to divide pizza lovers all over the world. An army of haters spawned numerous jokes in meme format, with a number of others eagerly defending the topping. 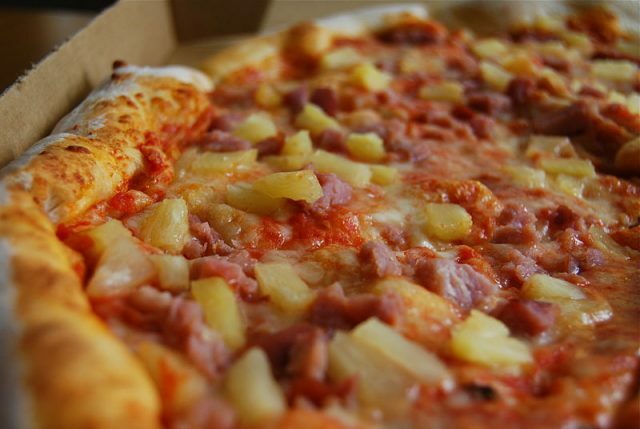 Dubbed as the Hawaiian Pizza — although it originates from Canada — the sweet-salty topping has indeed been controversial in recent years, especially following a 2017 statement by President of Iceland Guðni Th. Jóhannesson, that pineapple should be banned from pizza. However, the history of the pineapple pizza goes beyond the internet quarrel. It dates back to the 1960s, during the time when pizza was still a novelty on the North American continent. It all started in 1962 when Sam Panopoulos ― a Greek who emigrated to Canada in 1954 ― decided to try his fortune by opening a restaurant in Chatham, a small Canadian border town, just north of Detroit, Michigan. 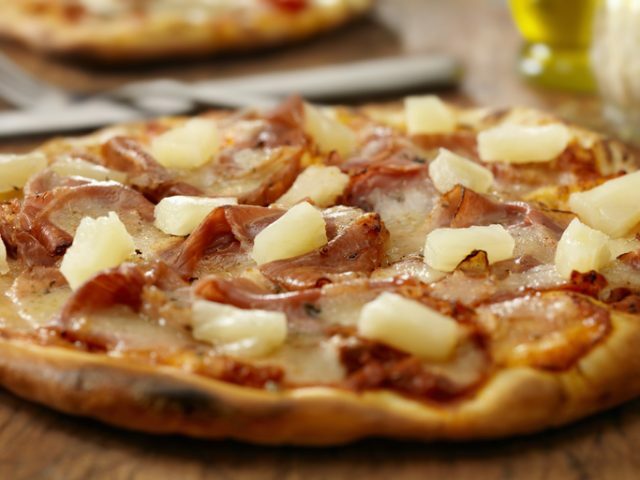 Authentic Italian, handmade ham and pineapple pizza with fresh mozzarella. Panopoulos named the place Satelite and started serving usual American dishes such as burgers and pancakes. 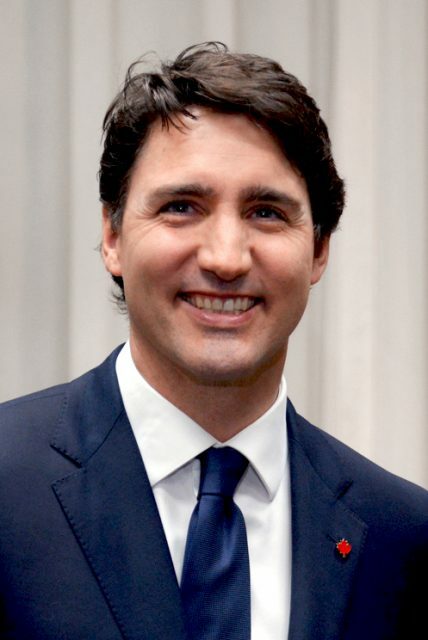 Soon he realized that it was only a question of time until the pizza craze which was taking over the United States would cross the border into Canada. Around the same time, America was opening up to foreign cuisine due to the return of Allied soldiers from exotic campaigns in the South Pacific. 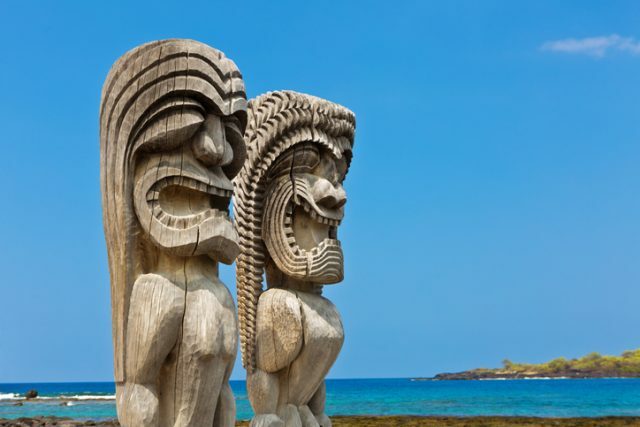 That was how the Hawaiian tiki culture became popular, as well as various Chinese dishes which often mixed contrasting flavors such as sweet and savory. One cannot deny these influences, for the presence of exotic tastes entering the North American continent, brought by veterans and migrants, was responsible for creating a melting pot of flavors from a variety of cultures. However, the pizza experiment didn’t catch on immediately. Pu’uhonua o Honaunau National Historical Park on the Big Island of Hawaii. The “Ki’i”, wooden images of the gods, stand on the shore of the historic park as guardians of the inhabitants of the historic village. The original recipe included a combination of ham and pineapple, to provide for the contrast in taste. Soon enough other pizza chefs accepted this innovative approach and started making their own variations of the dish. From that point on, the trend spread to the U.S. and even internationally. 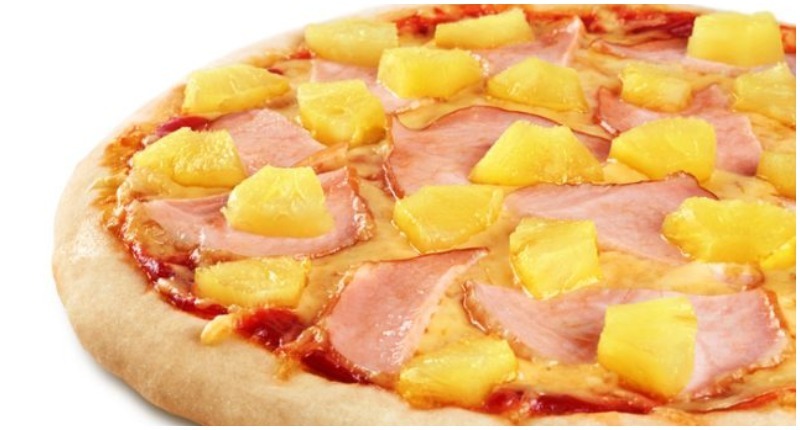 In Australia, for example, The Hawaiian achieved the title of most popular pizza, according to The West Australian. Sam Panopoulos passed away on June 8, 2017, aged 83. It was never his intention to cause such turmoil, nor was he bothered by the debate. His only intention was to break the pattern of using ordinary ingredients on pizza and to open up a world of new flavors. Nevertheless, his legacy remains, for he did spark a minor revolution in the pizza business, helping pizza to evolve from a traditional Italian food made from limited resources to one of the finest examples of international cuisine.